Brunch is a wonderful way to bring family and friends together with food, and a fun alternative to dinner parties. Whether you're gathering with family on the weekend, serving up a homey menu for Mother's Day, or hosting a swanky brunch event for your girlfriends or other invited guests, dessert will always be a key (and delicious) part of any brunch menu. We help you get dessert right and delight your guests at your next brunch, with these yummy, gorgeous, crowd-pleasing brunch dessert recipes that are sure to impress and keep people coming back for more. 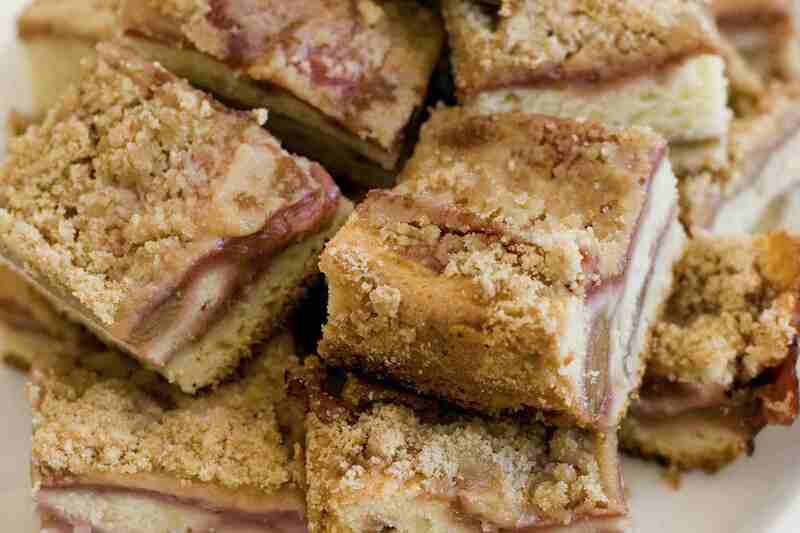 This brunch-time coffee cake is baked with a strawberry rhubarb layer in the center and a crunchy crumble topping. Cut it into squares and serve with a dollop of vanilla ice cream. Your brunch guests will compete for these mouth-watering cinnamon rolls, with its sweet, biscuit-like dough. You'll like that these rolls don't require any rising time, making them easy for you to prepare in less than an hour. Pretty, glazed fruit tarts are a classic brunch dessert found in many French bakeries. Sweet, buttery shortcrust tarts are filled with pastry cream, topped with fruit and finished with an apricot glaze. 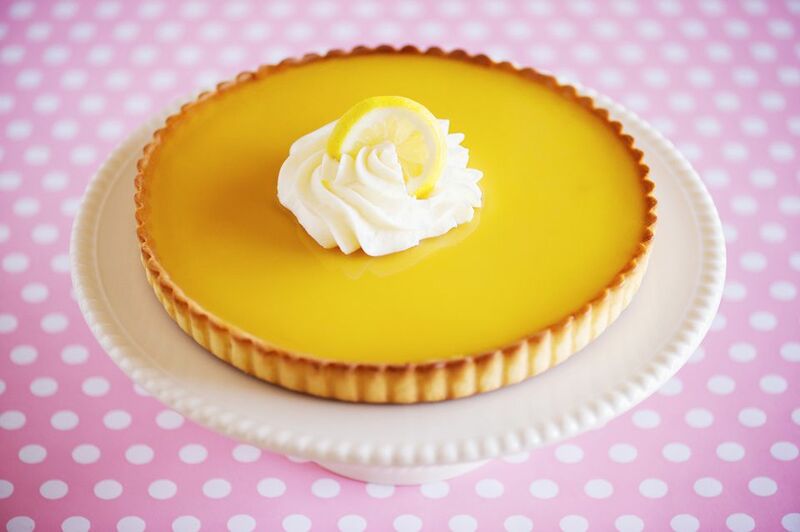 An elegant lemon truffle pie is the perfect finish to any elegant brunch menu. You only need 5 ingredients to create this super-easy pie, which includes store-bought lemon curd and a fast and easy cream cheese and white chocolate base. Fudgy, individual lava cakes with molten chocolate centers are popular restaurant treats. Make them at home for brunch guests with this rich and chocolaty recipe, that can be made ahead and reheated when it's time to serve. These warm and flavorful banana fritters are a sweet finish to any brunch. Make them ahead and keep warm in the oven, then serve with maple syrup or dust with powdered sugar. This easy strawberry cake starts with a white cake mix, for an easy-to-make brunch dessert that is sure to delight guests. Fresh strawberries and creamy pink frosting make this a pretty dessert to serve for bridal showers or ladies' brunches. Are you making brunch for someone close to your heart? Serve these beautiful little puff pastry treats. Cinnamon sugar gives these cute brunch cookies a homey aroma. This fragrant apple cake is made in a bundt pan and flavored with a spiced pecan and brown sugar streusel. Serve it with coffee for an elegant brunch dessert. These southern-inspired brunch muffins take the best flavors of brown sugar and pecans and turn them into a delicious and decadent baked good. This recipe includes tips for an easy sugar glaze that will impress your guests. Homemade banana bread is always welcome at any brunch. This crowd-pleasing version includes chocolate chips, making it into a cake-like dessert. These scrumptious, layered raspberry bars are made with a layer of coconut and an oat and crumb crust and topping. You can also prepare this easy (yet impressive) brunch dessert recipe with strawberry jam. Browned butter and a generous amount of vanilla take these chocolate chip cookies to the next level. Make these buttery chocolate chip cookies that are loaded with flavor in less than 30 minutes, for your next Sunday brunch. Nutella pastry puffs will impress adults and kids alike at your next family brunch. You can use store-bought puff pastry to make these freshly-baked treats, oozing with yummy, hazelnut-chocolate spread. Challenge your brunch guests to eat just one of these rich, dense, chocolatey, cake-like brownies. This recipe is sure to become a crowd favorite once you've served it at brunch.